What a world, what a world, what a world. Wikileaks has published more secret Trans-Pacific Partnership Agreement documents, revealing more and more how the United States represents large corporations and not the citizens of the nation. The Huffington Post said it best. They published a large front page photo of President Obama with the glaring headline, Company Man. The Trans-Pacific Partnership is a trade treaty going on in secret. Trade treaty drafts and negotiations are so secret to even comment on one of these trade deals will cost $2000. WikiLeaks recently released an excerpt of the secret deal, a feat most amazing they obtained even a portion of the terms. Another Sad Day for American Labor. 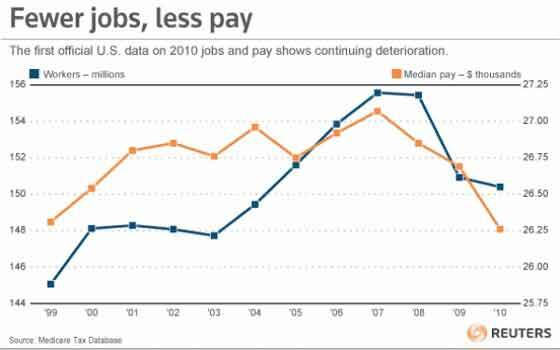 Rhetoric, campaigns, protests and op-eds, all promising to listen to the American people and most of all create jobs. In the streets there are millions of voices demanding an economy for Americans, U.S. workers and what does Congress do? Why pass more glorified offshore outsourcing and corporate tax haven deals under the guise of NAFTA like trade agreements. I kid you not. Congress passed trade treaties with South Korea, Panama and Columbia. Policymakers focused on enabling off-shoring corporations to move middle class jobs, and the consumer demand, tax base, GDP, and careers associated with the jobs, to foreign countries, such as China and India, where labor is inexpensive. Policymakers permitted financial deregulation that unleashed fraud and debt leverage on a scale previously unimaginable. Policymakers responded to the resulting financial crisis by imposing austerity on the population and running the printing press in order to bail out banks and prevent nny losses to the banks regardless of the cost to national economies and innocent parties. Whenever there is noise in the media machine, you can be sure some agenda the American people absolutely reject will be enacted. 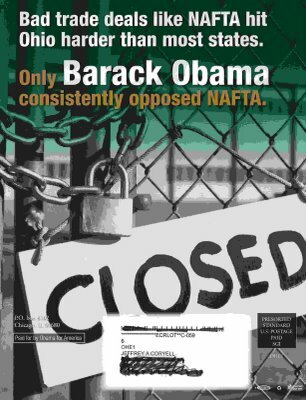 Such is the case with the Obama administration moving forward on three more NAFTA style trade agreements with Columbia, Panama and South Korea. These are trade pacts multinational corporate lobbyists demand. The South Korean trade pact increases the trade deficit and puts U.S. workers in more unfair labor competition. Even with a new biased USTR study, littered with fantasy tariff schedules and nebulous additional regulation requirements, cannot hide the fact this trade deal increases the deficit. The new report was requested by Republicans since they didn't like the dismal results of the previous study. Regardless of the spaghetti wording, the bottom line is imports, just in autos & parts, will increase $907 million while exports will increase $48–66 million. In other words, the Obama administration and Congress know this trade deal will increase the deficit and cause further job losses. They want it anyway.